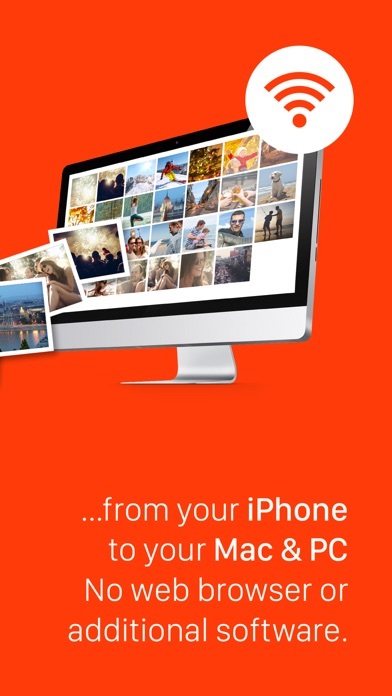 Transfer photos from iPhone or iPad to PC and Mac with ease. 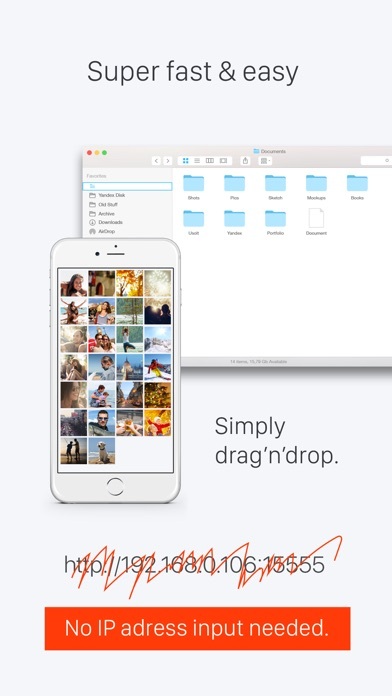 Photo Transfer app is the only app in App Store that transfers your photos wirelessly without the need for a web browser or additional software on your Mac or PC. Once you start the Photo Transfer app on your device, it will immediately show up in your Mac Finder or Windows File Explorer as a network device. You can simply copy photos in the same way you copy files on your computer. There is no need for a USB cable or extra software. Just connect to your home WiFi network or create a personal hotspot. Photo Transfer is super fast and simple to use, with built in security authorisation so nobody else can see your photos. 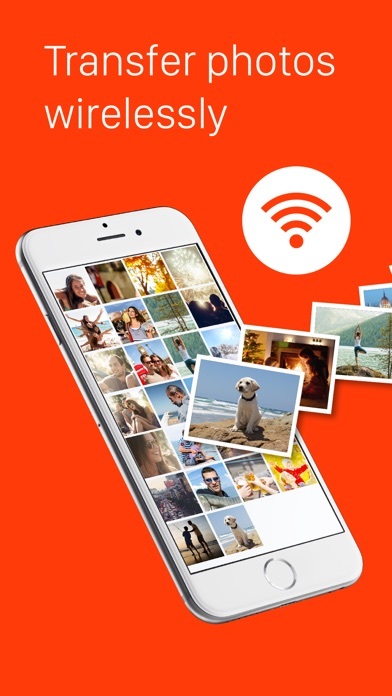 Photo Transfer Features: - Transfer photos and videos from your iPhone or iPad to your computer wirelessly via your local WiFi network or personal hotspot - No need for cables or iTunes - No web browser or extra software required - No IP or address input to access your photos. 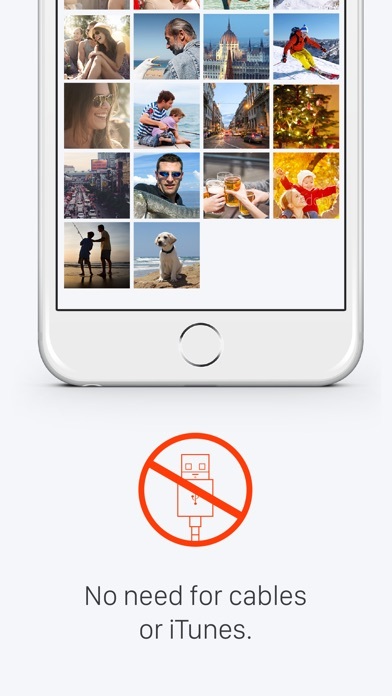 Device is automatically shown in your network neighbourhood - Transfer photos and videos in full resolution, without any quality loss - Transfer multiple photos and videos at once. No need to select each photo separately - Keep photo metadata such as time, GPS location and other data intact - Simple drag and drop support in your Mac Finder or Windows File Explorer - Security authorisation required for each session on your device so your photos remain private - Super fast transfer! - Both OS X and Windows are supported Also useful for better image printing. Copy photos to your computer and print them with a non Air Print printer with numerous options and settings. *** a piece of advice: If there is no WiFi network available or you don't want to risk using a public WiFi (Hotels, Coffee Bars etc.) or the hotspot is configured to prevent communication between devices, you can turn on "Personal Hotspot" on your iPhone or iPad and join your devices to Personal Hotspot. You can then use Photo Transfer app to copy photos and videos with high speed just like using WiFi! No slow bluetooth photo transfer! Photo transfer made easy ! 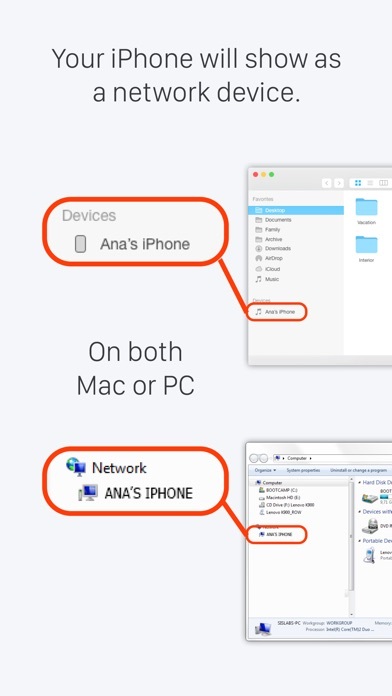 Just make sure your phone and PC / Mac are in the same network and grab the photos you want from phone to computer !! When it connects. Especially after buying unlimited transfers.